It takes a village to raise happy, healthy children. 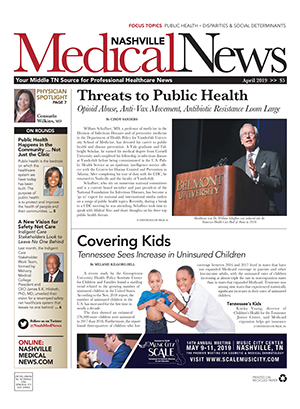 While there are countless obstacles - from addressing social determinants and cyberbullying to having access to specialty care - Middle Tennessee is fortunate to have numerous resources to help care for body, mind and spirit of the region's youngest residents to give area children the best chance to grow and reach their full potential. In addition to information on the featured organizations below, the accompanying resource box offers a quick reference of services helping children and teens to share with patients and their families. Nationally, one in four girls and one in seven boys will experience some form of sexual abuse by age 18, and many cases will never be reported. In Middle Tennessee, victims of sexual abuse find respite at Our Kids, which provides 24/7 expert medical evaluations and crisis counseling services in response to concerns of child sexual abuse. The team of medical and mental health specialists also works to increase community awareness, conducts research and offers education and training about child sexual abuse. "Sexual abuse is so different from physical abuse or neglect because the perpetrator doesn't want to injure the child or lose access," said Our Kids Executive Director Sue Fort White, EdD. "The dynamics are really different." An outpatient clinic of Nashville General Hospital, Our Kids evaluated 876 children during the 2017 fiscal year. The clinic is one of the largest of its kind in the U.S. and serves 47 counties in Middle Tennessee with satellite clinics in Cookeville, Manchester, Lawrenceburg and Clarksville. Staff members also work with the Department of Children's Services (DCS), law enforcement, child advocacy centers, pediatric practices, emergency departments and district attorney offices. The Our Kids team works hard to disseminate accurate information in the community and to highlight myths related to child sexual abuse, including the notion that "stranger danger" should be the biggest fear for children. In most cases, the perpetrator is known and trusted, leaving parents to deal with tremendous guilt and confusion. Parents also think their child will always report sexual abuse immediately, or that the suspect couldn't be a relative or family friend. Another common myth of sexual abuse is that it always involves genital injury. In reality, 93 percent of cases prove otherwise. Those numbers were part of the findings by Our Kids in the largest prevalence study of its kind in over a decade. Published last year in The Journal of Pediatric and Adolescent Gynecology, their study of 1,500 female children validated findings of other studies. The paper is now recommended as required reading by the American Board of Obstetrics and Gynecology. Our Kids is also setting a gold standard in community awareness. Slated to launch online Sept. 13, the organization's "What if I told you?" campaign seeks to start a national conversation about the epidemic prevalence of child sexual abuse. Website links include how to report child sexual abuse, resources, and mental health supports for adult survivors. "The theme of the video is to believe and protect the child and embrace the adult because they are courageous," Fort White said. "We want people to know that it's never too late to heal." More information about services is available at OurKidsCenter.com. An initiative of the Tennessee Department of Health, the Children's Special Services program provides medical care for children with physical disabilities from birth to 21 years of age. CSS is coordinated through the local health departments in all 95 Tennessee counties and provides resources for medical and nonmedical services. The program may pay for diagnostic evaluations, hospitalization, rehabilitation, prescriptions, speech and language therapy, hearing aids, medical and surgical treatment, physical and occupational therapy, braces and artificial limbs, and durable medical equipment such as wheelchairs and walkers. CSS does have financial eligibility guidelines that are based on family size and income level at or below 200 percent of the Federal Poverty Guidelines set each year. For more information, go online to TN.gov/health/health-program-areas. As one of the largest community-based mental health providers in the nation, Centerstone is also a leader in behavioral health services for children and adolescents. The Nashville-based, not-for-profit offers mobile, family and group therapy from their pediatric-focused Dede Wallace campus on White Avenue, while more than 60 master's degree-level therapists are dispersed throughout 300 Tennessee schools. 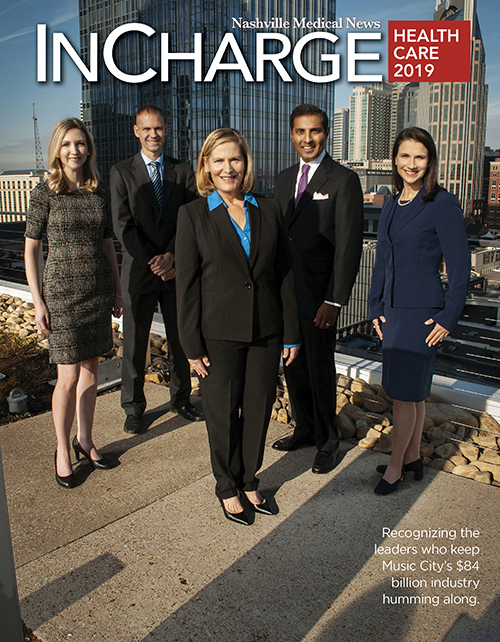 "Schools are a primary area of concern for us, as that's often where kids are first identified as having challenges," said Beth Hail, regional vice president of Centerstone's central region, which encompasses Davidson, Wilson, Williamson and Rutherford Counties. Staff members also provide mobile crisis consults to counselors and teachers and work to assist kids struggling with drug addiction and depression. Patients run the socioeconomic gambit, from state custody to TennCare and private pay. The majority of Centerstone's young patients have experienced trauma, and therapists work alongside parents to help them understand their child's struggles. The campus also is among the few to offer therapists specially trained in child-parent psychotherapy for children from birth to age five. "We use evidence-based practices to work with young children when there's been a disruption in the family or an event that's altered parent-child attachment," Hail said. "We work to restore those relationships, and it's often difficult to find therapists who will work with those very young children and their families." Centerstone also offers parent/child interaction therapy (PICT), which involves monitoring the playing child through a two-way mirror. During PCIT, parents wear ear buds and are coached by therapists in real time how to correct behavior while strengthening the parent/child relationship. The team also offers adolescent dialectical behavioral (DBT) group therapy for youth who don't respond well to individual counseling. Long recognized for its effectiveness in adults, DBT has proven tremendously successful for children with boundary issues, difficulty interacting with others, family problems or suicidal tendencies. "These teens often don't' recognize their own mental health issues, but they can help each other and challenge each other and work with a therapist specially trained in adolescence," Hail said. Additional area services and locations can be found online at Centerstone.org.